Kaia Gerber had the blues when she opened Fendi’s Spring 2018 show in Milan on Wednesday, September 21. 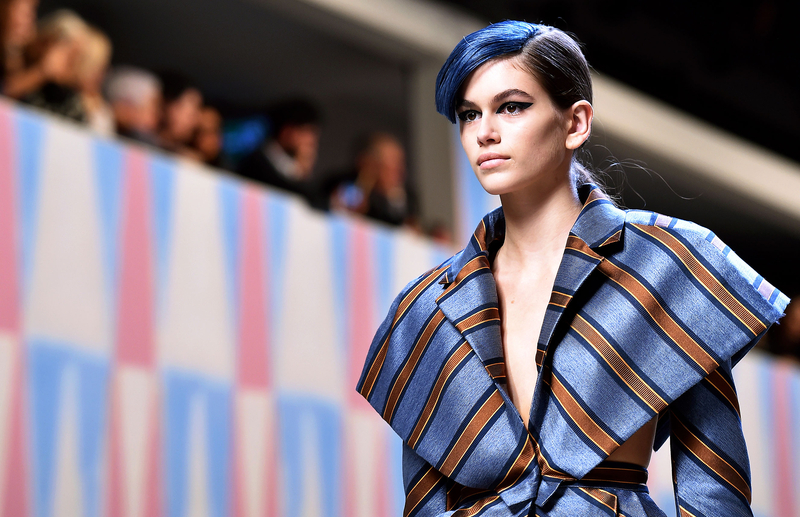 Cindy Crawford’s daughter rocked bold blue bangs to kick off the show, masterminded by Karl Lagerfeld. The 16-year-old shared a selfie backstage dressed more casually in a cropped Metallica tee and leopard pants before she changed into her runway look. “Prep for Fendi,” she captioned the pic, in which she’s wearing her blue hairpiece. Gerber also posted a photo of her striped runway look on Instagram, writing, “OPENING FENDI! Karl… you’re a DREAM.” Working with Lagerfeld is major for any model and can cement your supermodel status … just ask Kendall Jenner, Gigi Hadid or Cara Delevingne, who are all muses of Karl’s. In addition to Fendi, Lagerfeld also runs Chanel and his own label, so getting involved with him can be a career-maker. Kaia is enjoying a rapid rise to top model, considering she just walked in her first ever runway show at Raf Simons for Calvin Klein during New York Fashion Week on September 7. During NYFW, she also hit the runway for Coach, Marc Jacobs, Alexander Wang and Fenty Puma. Kai’s supermodel mom revealed what tips she gave her gorgeous daughter on the modeling industry. “Be on time, be polite and professional, do what’s asked of you, and don’t have your head in your phone,” Crawford told The Hollywood Reporter. 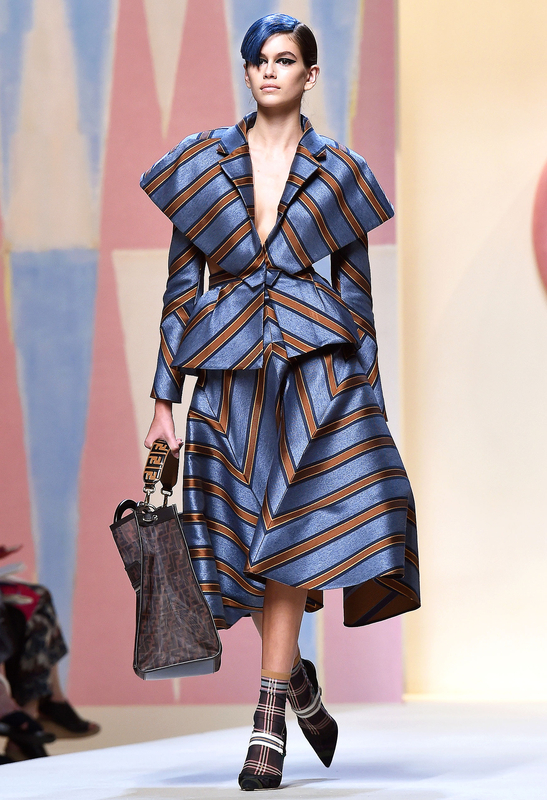 We can’t wait to see what other runways Kaia will grace in Milan and Paris!